"Trying to reduce its dependency on Russian natural gas, Europe wants Turkmen gas supplies more than ever," said Guner Ozkan, Caucasus and Caspian regions expert at the Ankara-based think-tank International Strategic Research Organization told the Anadolu Agency in an interview. However, Ozkan pointed out that Russia is the strongest player in the Caspian region and it would be wrong to believe that Russia would not "intervene" in a project that will go through the Caspian and reach Europe to supply an alternative to Russian gas. 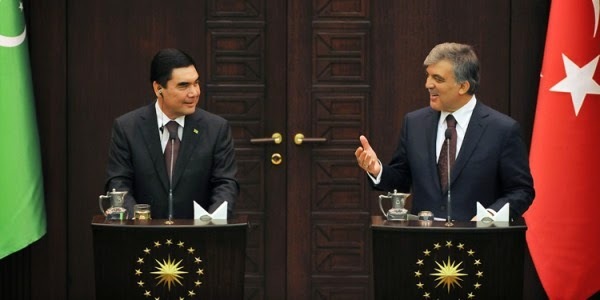 "The recent $400 billion agreement between Russia and China, will soften up Turkmenistan’s gas price negotiations with China," Ozkan said, adding, "Turkmenistan needs alternative markets as well and reaching Europe through Turkey is imperative from this perspective." "A published list of alleged Azerbaijani Gülenists also included Defense Minister Zakir Hasanov and, ironically, SOCAR’s vice-president Khalik Mammadov, which has prompted some speculation whether Baku is really cracking down on Hizmet by placing its schools under SOCAR's control or if the Gülenists are in league with the state-owned oil and natural gas corporation." What the initiatives had in common was they nearly all had at least one sponsor who attended a conference in the capital Baku in May 2013 organized by the Turquoise Council for Americans and Eurasians. The council is a Houston-based group connected to Fethullah Gulen, the leader of the moderate Islamist Hizmet movement who fled Turkey in 1999 after clashing with secular Turkish authorities who accused him of trying to turn Turkey into a religious Islamist state. The Turquoise Council, headed by a Gulenist follower named Kemal Oksuz, paid for the travel of lawmakers who went on the trip, according to congressional records. Oksuz also chairs the Assembly for the Friends of Azerbaijan (AFAZ), a Houston group sponsored by SOCAR, which hosted a U.S.-Azerbaijan convention in Washington at the end of April attended by many of the same lawmakers who went on the trip to Baku, as well as other members of Congress and former administration officials. The Assembly’s vice president is Milla Perry Jones, the sister of Texas Gov. Rick Perry, and its treasurer is Rauf Mammadov, the chief of SOCAR’s U.S. branch. Oksuz also owned TDM Contracting, a construction firm in Texas that worked to build a network of Gulenist charter schools there. France's Total and Germany's E.ON plan to withdraw from a pipeline scheme to bring Azerbaijan's gas to Italy, an Azeri official said, as falling Italian demand puts energy projects there into doubt. The move comes less than a month after Russia's Gazprom said that it would re-route its massive South Stream pipeline, which plans to bring Russian gas to Europe later this decade, to Austria instead of Italy. Europe sees Azeri gas as an alternative to its reliance on Russia, but analysts say commercial issues cloud the picture. Gazprom and its partners will build the South Stream gas pipeline to Europe regardless, despite the negative statements against this project by EU Energy Commissioner Gunther Oettinger, the Russian gas giant's CEO, Alexei Miller said on television station Rossiya 24. "No one can prohibit us from building South Stream, so construction will continue," Miller said, adding that there are regulatory issues [concerning a number of restrictions according to European legislation], "but this applies to the operation of the gas pipeline." He said the first line of the pipeline is scheduled to be put into operation at the end of 2015, and there is still time to discuss these issues with the European Commission. 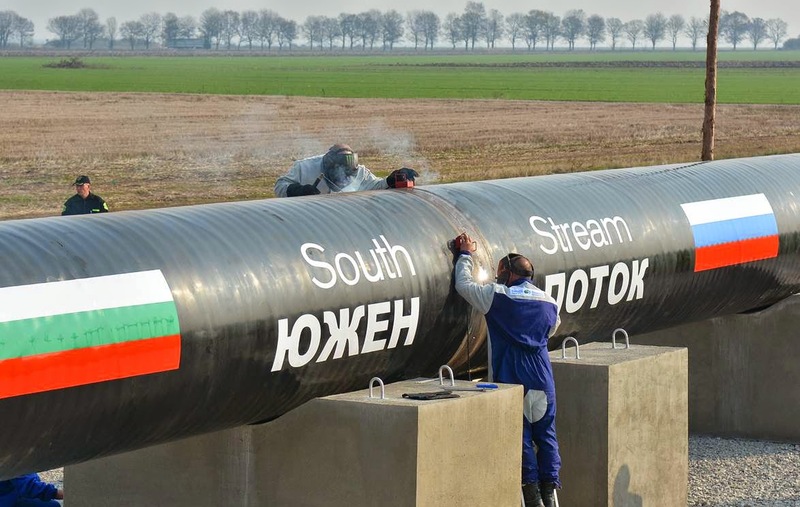 A junior coalition partner in the Bulgarian cabinet has called for early elections today (5 June), after publicly opposing the government's policy to continue construction of the Russian-backed South Stream gas pipeline project, despite European Commission warnings that it infringes EU rules. The Movement for Rights and Freedoms (DPS), a liberal party, said it disagreed with its senior coalition partner, the Bulgarian Socialist Party, over plans to continue building South Stream. Lyutvi Mestan, the leader of DPS, a mainly Turkish ethnic party affiliated with the liberal ALDE group, told parliament that Bulgaria “shouldn’t do anything against Brussels”, saying the country should defend its national interest “in cooperation, not in confrontation” with Europe. “Considering the pace of China’s economic growth and the agreed pricing formula I’d say it is very likely that we will soon conclude a contract to build a western [pipeline] before long that will run across the Siberian Federal District,” Ivanov said. Putin’s chief of staff said the project to build the so-called Altai natural gas pipeline was a particularly “huge” endeavor. “It might be less capital-intensive than the eastern one, but it’s no doubt going to cost us tens of billions of dollars,” he explained. Turkmenistan has taken the issue of murder of its border guards with President of Afghanistan Hamid Karzai as constant criminal activities have been reported in border areas of Faryab and Badghis provinces on the Turkmenistan-Afghan border. 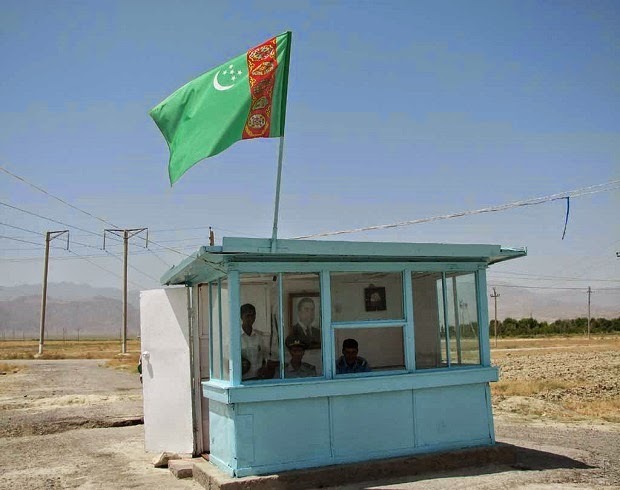 Turkmenistan believes that Afghan criminal groups are involved in killing Turkmenistan border guards with the support of Afghan border security staff. The matter has been discussed between President Karzai and Minister of Foreign Affairs of Turkmenistan Rashid Meredov during their meeting in Kabul. Karzai assured the Turkmen Minister that Afghanistan would start probes into the border incidents. He regarded the extensive cooperation between intelligence and security agencies of both the countries as important for thwarting criminal activities in the frontiers, and articulated that more Afghan security forces would be deployed in areas bordering Turkmenistan. Six Afghan border guards have been wounded in an attack on the northern village of Marchak, along the border with Turkmenistan. The chief of security in the Afghan district, Daulat Mawin, said the attack started late on June 4, when militants launched an assault on the village, which is located in Afghanistan's Baghdis Province. Mawin said the security situation in the region had been deteriorating for several months. An invisible army of American diplomats, intelligence personnel, civilian government officials, and contractors will remain in Afghanistan well in the future, likely outnumbering the 9,800 troops that will be there next year and the smaller numbers of troops that will be there in the years to come.